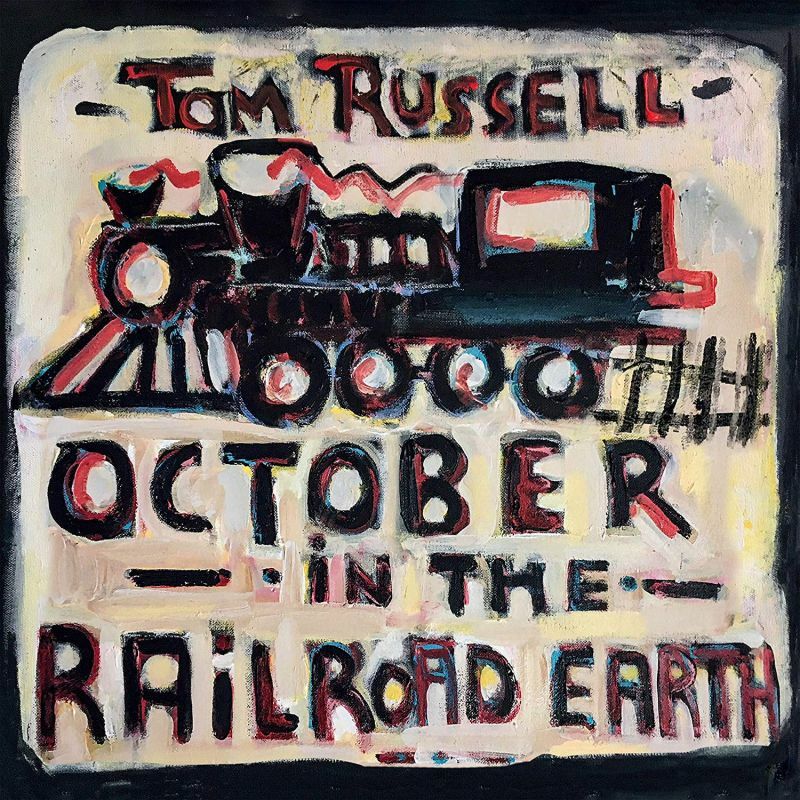 American troubadour Tom Russell, regarded as one of the finest songwriters of his generation, returns with October in the Railroad Earth on March 15 via Proper Records. The new studio album comprises ten original Tom Russell songs, including the title track from the Irish film Small Engine Repair and features Bill Kirchen on lead electric guitar, Eliza Gilkyson on backing vocals and the Grammy Award winning Texmaniacs. Russell describes the songs and sound as: “Jack Kerouac meets Johnny Cash…in Bakersfield”. Singer songwriter, painter, essayist – Tom Russell has recorded 35 highly acclaimed records, and published six books – including a book on his art, a book of his songs, and a book of essays on the West. His songs have been recorded by Johnny Cash, Doug Sahm, Nanci Griffith, k.d. Lang, Ramblin’ Jack Elliott, Dave Alvin, Iris Dement, Dave Van Ronk, Lawrence Ferlinghetti, Tom Paxton, Ian Tyson, Iris Dement, Joe Ely, and a hundred others. His art has been purchased by several major museums in America and he’s represented by six world galleries.